It’s Grand National weekend. You know, that simple-to-solve 4 mile + 40 runner handicap chase. I wrote about it last week so do follow the trends there. What about Grand National Favourites? Tiger Roll is the current favourite, a course and distance winner I.e. a previous National winner. Very short odds at 4/1. Tiger Roll was not favourite when he won last year. The last favourite to win the Grand National was Don’t Push it in 2010. . 4 of the last 7 favourites have placed. That might be an angle – each way betting. 2 favourites of those 7 did not finish. The last 10 years did see a 12 point profit backing favourites. I would certainly not be backing a 4/1 horse in a ……40 runners 4+ mile handicap chase! Tiger Roll, the winner last year, was 2nd favourite. His win alone turns a small profit for 2nd favourites in the last 10 years. 2 joint second favourites in 2018 placed in the top 4. That ended a run of 4 races where 2nd favourites failed to finish. So there is quite a contrast with 2nd favourites. 4 have placed in the top 4 at least but 5 have failed to finish in the last 10 years. If you feel the 2nd favourite will fail to place, lay the horse in the to be placed market. 3rd favourites in the last 10 years have not won the National.8 of the 10 runners failed to place. 4th favourites have not won in 10 years, and of the 19 4th favourites ( some joint-favourites), only 1 of these has placed . There were 26 horses failing to complete in 2018’s National so you have a likely 1 in 2 chance of any pick you make actually not even finishing. Interestingly, in 2018, only 3 horses at odds of 14/1 or shorter failed to finish. But this year, horses 14/1 and lower largely encompass those 3rd and 4th favourites who have a Danny Dyer record in the National in the last 10 years. I would look towards a 25/1 shot such as ( at time of writing) Dounikos and walk in the mill each way in the hope that 25/1 shots tend to finish the National, and are not 3rd or 4th favourites ( 0 from 10) so in that respect are more likelier than 3rd and 4th favs to win! 25/1 shots in the National saw a winner in 2014 and 2015, 2nd in 2015, 3rd in 2017,and 2nd in 2018. Not a bad recent record. 25/1 or bust for me!! Or….you could do what my gran does and stick a pin in a race card, then lump on with 5p each way. 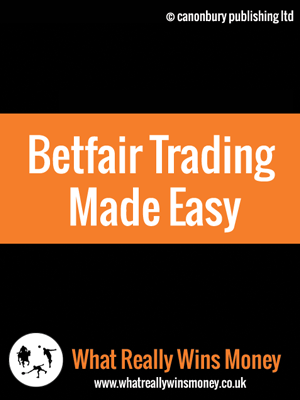 Just enter your details below and I'll send you your FREE Betfair Trading Made Easy report. PLUS you'll also get my weekly What Really Wins Money email newsletter. It's FREE and you can unsubscribe any time.